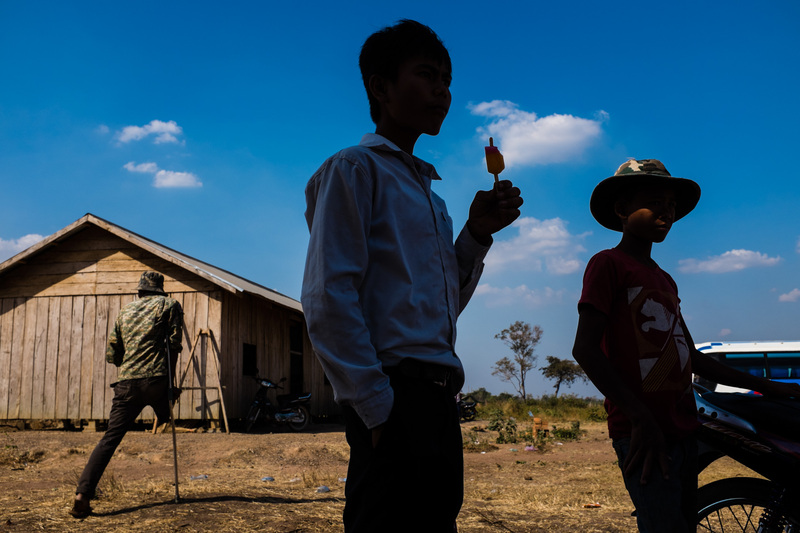 "Cambodia Stories" contains a series of candid moments and quiet stories of the lives of the people in Cambodia. The images were captured between 2011 and 2018 in a number of different cities and towns. Similar to my popular 'La Habana en color' work, this zine contains no captions. Each zine purchased will include a signed 8x10 photo of "Peg Leg", printed on museum quality Hahnemühle Photo Rag recognized as one of the finest photographic papers in the world. This is one of my favorite personal photos I've ever taken and it is the first time it has been offered in print. 100% of the net proceeds from the sale of this zine will be donated to Rotary Wheels for Learning; a charity that purchases bicycles for kids in rural Cambodia. Because children often live an hour walk or more away from school, a bike actually empowers and motivates them to continue with their studies. And as some of you know, education is the key for their future as it copes with the aftermath of the genocide nearly 40 years later. Zine size: 50 pages, 44 images, 8.5 x11 inches, signed and numbered to 25. Print size: 8x10 inches, printed area approximately 6.4 x 9.5 to maintain original aspect ratio of the image.